Just four and a half years ago, Bini Ludlow found herself without a job after 15 years of teaching. With a lifetime of Indian cookery experience, this proved the eureka moment for Bini to establish her own cookery school and luxury home-cooked meals service. Eager for others to realise that “there’s so much more to Indian food than chicken tikka masala”, Bini draws on the skills her mother taught her to produce outstanding Indian food from the finest British ingredients using Gujarati spicing. The meat used in Bini’s recipes is traceable to the field where it was reared, Bath rapeseed oil is used, and vegetables come from local allotments, grocers and even Bini’s own garden, where the scraps go back into the compost bin. Bini sees supporting the local economy and small businesses like her own as fundamental, and furthermore uses a local designer, accountant, packaging firm and courier for all her business needs. Two local people, a retired policeman and ex-Navy chef, work part-time at the business, and Bini enjoys sharing her knowledge at local schools. Lamb and spinach curry was one of the very first dishes Bini learned to cook, visiting the local butcher with her father for the meat, before watching her mother prepare the meal while she made the accompaniments. A midweek treat, the dish was served every Wednesday, and Bini now shares this tradition with her customers. 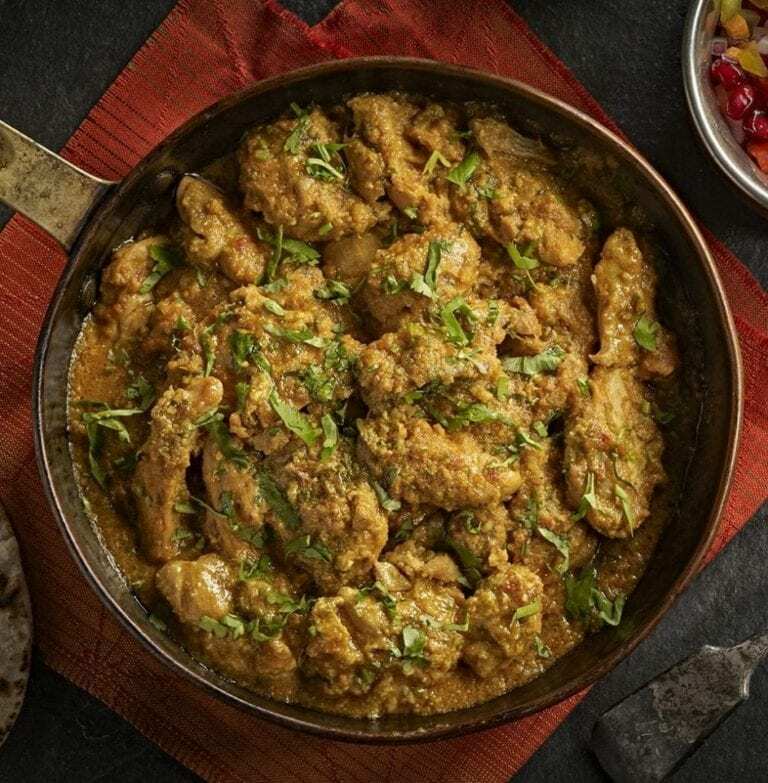 Sweet Cumin’s Moghul Chicken Curry was inspired by a neighbour’s eagerness to introduce her children to Indian spices, and substitutes traditional cream and butter for Somerset yogurt, with the chicken being sourced from a farm less than five miles from Bini’s door. The South West judging panel loved the producer’s passion, knowledge and superb local sourcing of ingredients, alongside the stories of the dishes’ heritage and provenance.